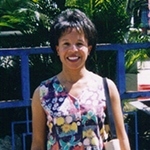 Karen attended Howard University where she was a Dean’s List student. She graduated with a BS degree in Psychology. She enjoys traveling to foreign countries and writing vivid travelogues. Her favorite destinations are Portugal, Japan, and Italy. With her engaging writing style, adherence to deadlines and skills like keyword research; she has eight years of experience as a Travel & Health Blogger. Soon after Karen finished her undergraduate studies she joined the Peace Corps and successfully completed the Peace Corps’ three-month training program and earned Foreign Service Institute language certification in Spanish. She has also completed graduate level courses in TESOL/Multicultural Education and taught English as a Second Language at the college level and became a Family/School Liaison for the Connecticut public schools’ Open Choice Program. She also worked at Ecuador as an Integrated Rural Development Specialist for two years.